The brothers of Kappa Alpha Psi in St. Louis, Missouri have raised the bar for probates, EXTREMELY high! Sky high in fact, because these brothers showed up to their neophyte presentation in a helicopter. The Beta Nu Chapter of Kappa Alpha Psi Fraternity Inc., does not play games when it comes to making an entrance, or putting on a probate. Their helicopter entrance may be one of the most over the top ways to kick off a probate that you’ve ever seen. 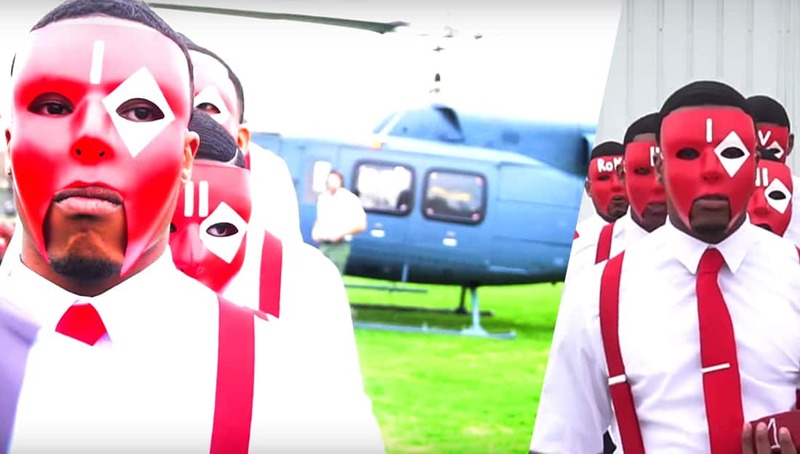 In addition to the helicopter, these Nupes had over a dozen well crafted greetings, they spat INFO on top of INFO, on top of INFO, and they showed the crowd the shoulders that the ladies love to see. Get some popcorn, and check out the video below for yourself! It’s definitely a movie!